Explain the purpose of a Trialforce template. Describe what can be customized in a Trialforce template. Discuss strategies for creating sample data. If you’re using an installable trial, it’s pretty easy to motivate people to buy your offering—they download it to try to do something specific with their own data. As long as your user experience holds up and your app does its job, you’re in great shape. Test Drive and Trialforce need more of a pitch, since they provide their own data in a separate environment. If you’re using one of these, come up with a story that draws in your prospects and demonstrates why they need your product. Better stories lead to higher sales. Here we discuss creating experiences for Trialforce, but you can use the same approach for creating data for a Test Drive org. Just remember that your prospects can’t change any data in your Test Drive. When you figure out how you want customers to experience your product, you create a template representing that experience. A template is a set of configuration data and sample data that implements your story within a Trialforce org. 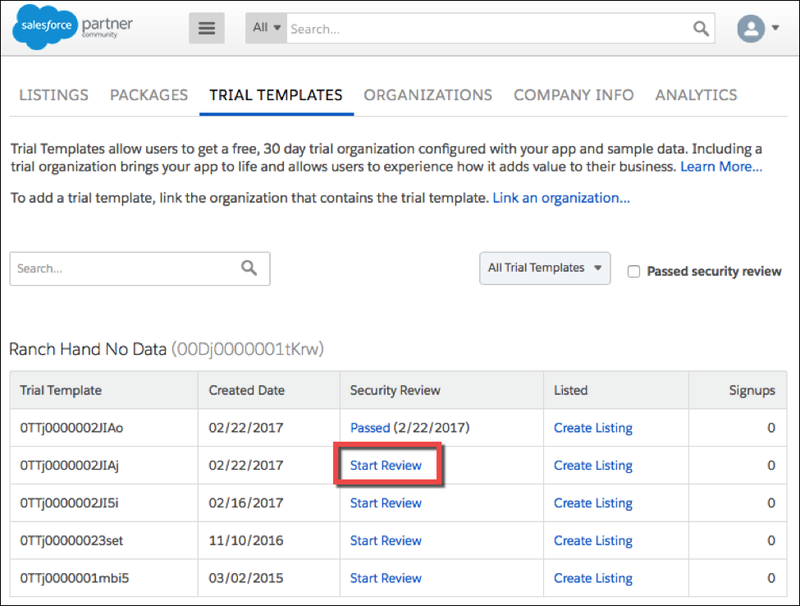 Templates are used to create trial orgs so that your customers and prospects see what you want them to see without having to first purchase your app. How do you create a Trialforce template? In fact, a template is just a snapshot of a Trialforce Source Org (TSO) and its contents. To set up a template, you install your app into your TSO and add sample data. When you build a template, consider your ideal customers and create an experience specifically for them. What do you want to show them? Are there specific features that they must see? What kinds of data tell the best story for your product? Create an immersive experience with sample data that looks similar to what your ideal customers work with. Emily is an admin for her company, MultiProjects, an engineering firm. She needs to create, track, and manage the company’s various ongoing projects, and she searches for a solution on AppExchange. Her search turns up the Milestones Project Management app. She doesn’t have a Salesforce org, so she requests a trial org from the app listing. Seconds later, Emily receives a brand new org with a trial version of Milestones installed. After she creates a password and logs in to the org, Emily discovers that the org has some starter data, with a sample project (1), tasks, and milestones. She sees the details of each project, associated tasks, and a visual representation of the project’s progress (2). As Emily clicks through the app, she notices records for every custom object and field in the app. The Milestones developer who built this template created sample data for every standard and custom object, so Emily understands how to use it. With the sample data, it’s easy for her to easily inspect project information such as open tasks, the time budget, and the expense budget. She also discovers a Gantt chart feature illustrating project milestones—one of the things she’s looking for specifically! 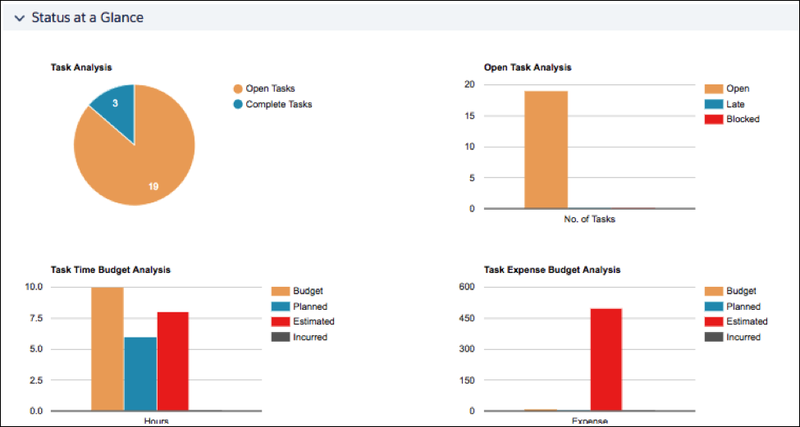 The Milestones Project Management app also provides a sample report called Open Tasks by Milestone, which shows ongoing work. Emily is impressed. Without the sample data, she wouldn’t be able to see the app in action. But because this Salesforce partner provided good data using Trialforce, Emily has a great experience and decides to purchase the app. 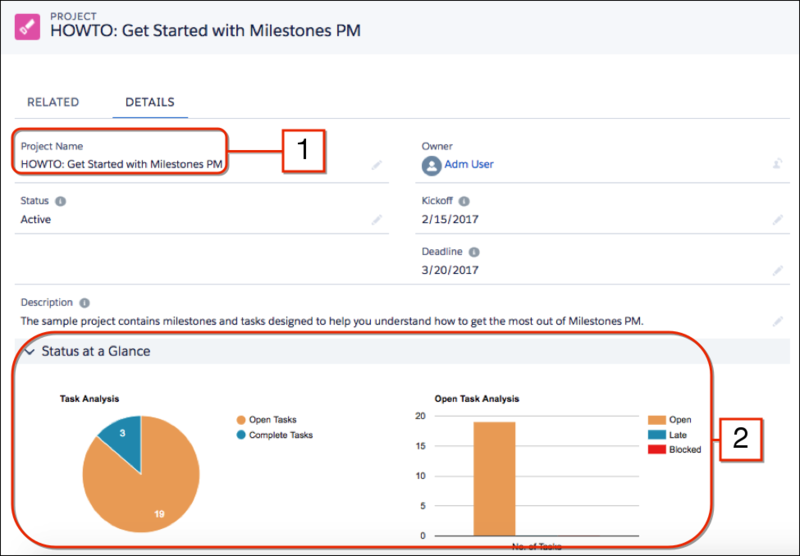 The template in the preceding example illustrates how the Milestones Project Management app appeals to admins like Emily. The sample data in the example is generic, but with a more specific template, the app can appeal to a prospect in a particular role or industry. Sample data for retail customers would include tasks assigned to cashiers and milestones for seasonal store decorations. An education-related template might have projects and tasks for organizing classrooms, creating a syllabus, and planning field trips. Using concepts familiar to your customers helps you connect with them. Don’t underestimate the power of speaking to your prospects using terminology and concepts that resonate with them. You can even create templates without data, for customers who want to import their own. It’s easy to imagine several templates for your product. For each flavor of trial you want to offer, create a separate TSO configured and populated with unique data. To create a Trialforce template, you need a Trialforce Source Org with sample data, configured with the appropriate settings for your customers. Log in to your TSO. From Setup, enter Trialforce in the Quick Find box and select Trialforce. Describe the template and decide whether to include data. The default option, All Data and Setup, is fine for most cases. 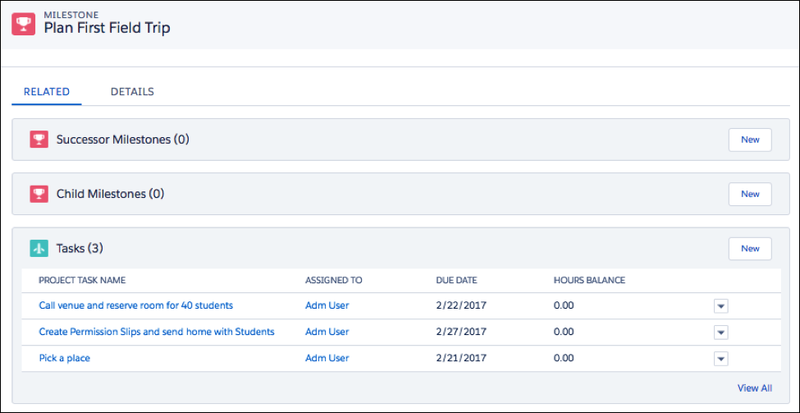 Under Optional Features, if dates are an important part of your app, select the first box to adjust all dates so that they are shifted relative to the org creation date. This prevents your sample data from looking stale. When the new template is generated, you receive an email with the org ID. When you update a Trial Source Org, make sure you generate a new template for it. That way, your trials are consistent with your most recent changes. Each of your Trialforce templates has a status with one of the following values. In Progress—When a template is first created, it always has this status. This means that you’re not finished creating it yet. Success—The template is ready and can be used to create trial organizations. Error—Something is wrong with the template, and you can’t use it until you fix one or more problems with it. Deleted—You have deleted the template, and it can’t be used anymore. The status record for a deleted template stays around until the next system update. Check the status of a template after you create or delete it. To do this, click Trialforce in the setup menu. You see a table containing all your templates. Their status appears in the right column, next to their creation date. The template can contain only managed packages that have passed security review. The template can contain no unmanaged code (Apex or Visualforce pages). 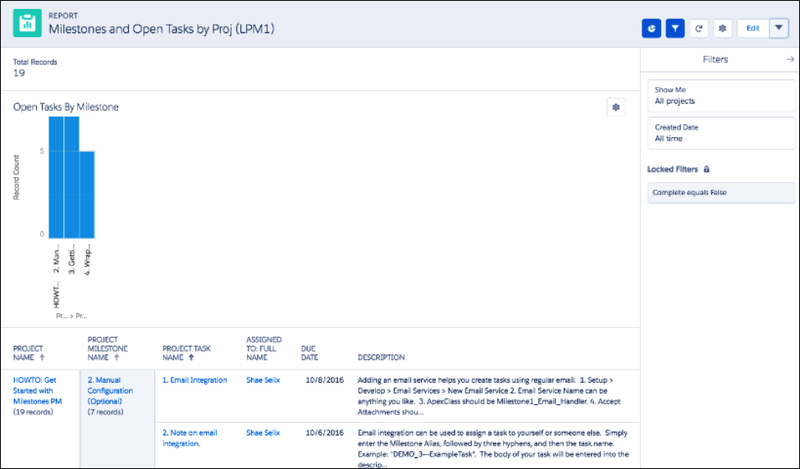 Log in to the Salesforce Partner Community and navigate to the Publishing Console. Connect your TSO to your listing. On the Organizations tab, select your TSO from the list and click Connect Organization. Navigate to the Trial Templates tab and click Start Review for the template you’d like to use. 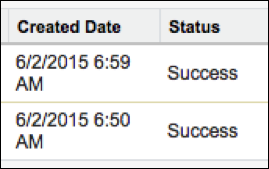 You receive an email confirmation after you initiate the review, and another email when the review is complete. The review is free for partners and typically takes 2–3 days. After you create a Trialforce template, it can’t be updated. Because the template is just a snapshot of your TSO at the time that the template was created, there’s no way to modify it. Fortunately, it’s easy to create a new template from an old one: just update your TSO with a new version of your package, data, or configuration and create a new template from it. 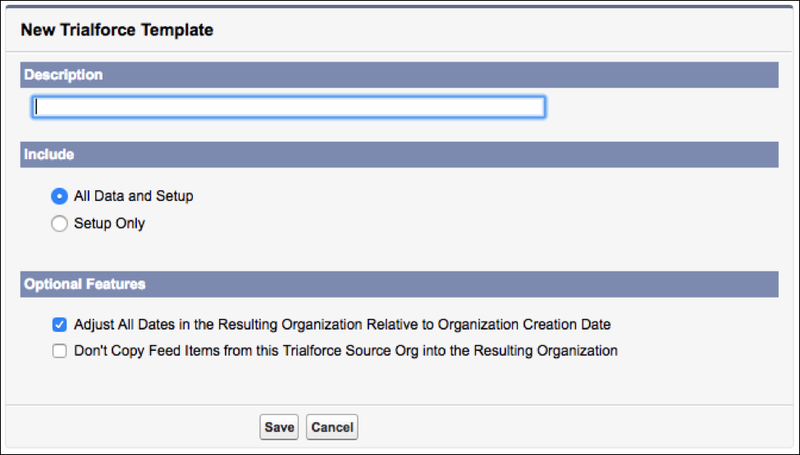 Every time you create a new version of your app, install it into your Trialforce Source Org and create a new template. Trialforce works with other Salesforce products like Communities and Einstein Analytics. If your app uses them, you can set up a fully functional trial that shows them off. We don’t describe these products here—we mention them so that you can consider them when you build your customer experiences. The possibilities are endless. Anything you can fit into a Salesforce org can be part of the experience you provide with Trialforce. In the next unit, we show you how to share this experience with your prospective customers.